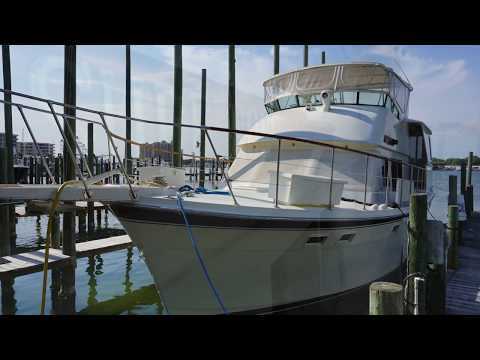 1984 Atlantic 48 Motoryacht with twin Detroit 6V92 engines for sale in Destin Fl. She was kept on the Tombigbee River most of her life. The boat is in great condition and with under 1400 original engine hours. This is a new listing and the full listing will come very soon! Please call yacht broker for more details! Please call yacht broker CHRIS WHITE for more information (850) 723-7889 cell.